Christie Willcox wrote a nice article this week on how one small group of organisms called “vertebrates” first evolved to live on land. Since you are a vertebrate who lives on land, you should probably go and read Christie’s piece. I wouldn’t want you, however, to go around thinking those first fish to leave the ocean behind were pioneers making a uniquely difficult transition. By my figuring, onycophorans (velvet worms like peripatus), tardigrades, annelids, nematodes, nemerteans (ribbon worms) and quite a few arthropod lineages have also taken up a terrestrial lifestyle. Many of those lineages were already breathing air before Tiktaalik, Ichthyostega and your other long-lost relatives came along to join them on land. But if you want to talk about transitions from marine to terrestrial lifestyles then you really want to talk about snails. You can find snails living in almost every habitat between the deep ocean and the desert, and snails have adapted to life on land many different times. In fact, a litre of leaf litter taken from a New Zealand forest can contain snails representing three separate transitions from water to land. Cytora is from the superfamily Cyclophoroidea, a group of snaisl that have indepedantly adapted to life on (relatively) dry land. (The weirdly un-twisted Opisthostoma is in this post is another cyclophoroid). Cyclophoroids share some stylommatophoran adaptations to life on land, they’ve lost their gills and replaced them with a heavily vesculalised mantle cavity. Slightly oddly, cyclophoroids also breathe with their kidneys. Or, at least, the nephridium, an organ which does the same job as a vertebrate kidney, includes “vascular spaces” that the snail can use to collect oxygen from the air. Cyclophoroids don’t have an organ equivalent to the breathing pore to control the flow of air into the mantle cavity. Instead the mantle cavity is open and air enters by diffusion, or in larger species, as the result of movements of the animals head. For the most part, the respiratory and excretory systems in cyclophoroids are not as well adapted to life on land as those in their stylommatophoran cousins. For this reason, most cyclophoroids are only active in very humid conditions. In my limited experience, Cytora species are usually found deep in moist leaf litter and soil samples, and I’ve never seen one crawling about. Nevertheless, some species can survive in drier situations, and these are certainly terrestrial snails. I did warn you that it was a crumby drawing. In life G. purchasi have an orange-red sort of a hue, and you can often see patches of pigment from the animal through the shell. 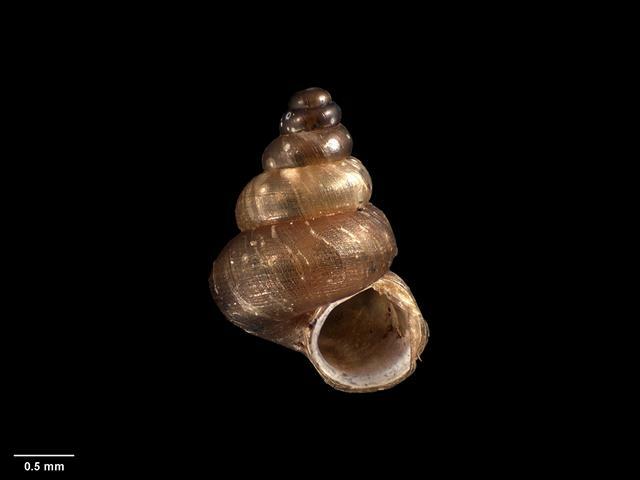 Georissa species are from the family Hydrocenidae and are quite closely related to a group of predominantly freshwater snails called nerites. Just like the other lineages discussed, the Hydrocenidae have given up their gills and breathe through a vasculated mantle cavity. Very little is known about the biology of these snails. G. purchasi is sometimes said to be limited to very wet conditions, but I’ve collected (inactive) specimens form the back of fern fronds well above ground so it can’t be completely allergic to dry . So, in a handful of leaf litter collected from a Dunedin park you might have cyclophoroids, hydrocenids and stylommatophorans – descendants from three different moves from sea to land. If we look a little more broadly, there are are many more examples of this transition. I’ve written about the the helicinids before, then there are terrestrial littorines (perwinkle relatives) some of which have both gills and lungs. Plenty of other pulmonate lineages that have also taken up an entirely terrestrial lifestyle. Because some of these groups have adapted to life on land multiple times, there have probably been more than 10 invasions of the land by snails. 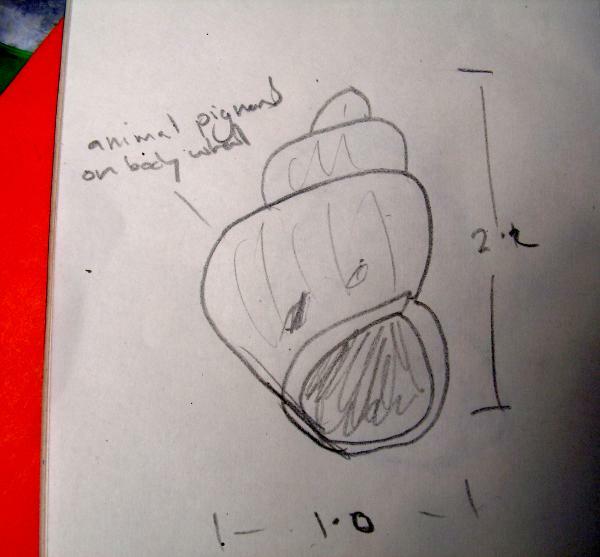 Barker, GM (2001) Gastropods on land: phylogeny, diversity and adaptive morphology In Barker (Ed. ), The biology of terrestrial molluscs (pp 1—146) CABI Publishing.